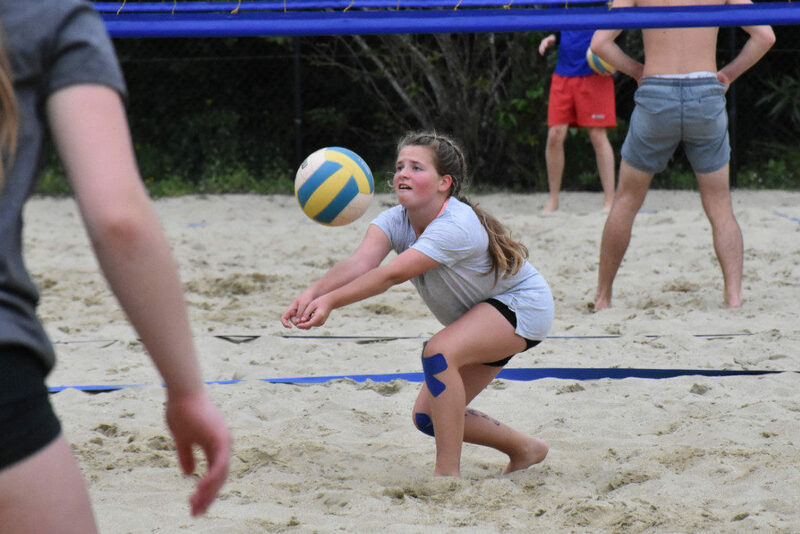 Format: 4 aside beach volleyball league – mixed teams are allowed. We play the KiwiVolley way, with smaller courts, lower nets, and lighter balls. Its 4 on 4 but you are encouraged to have 6 players on your team using rolling subs. Our league coordinator/coach will coach short lessons at the beginning of each session to learn basic skills, followed by matches based on skill and age. The first week will be a grading week to determine seeding. Price: $40 per athlete or $160 per team. That comes out to $5 per session per athlete.